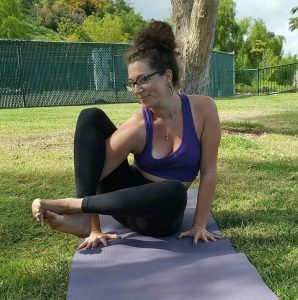 Cassandra Vitale is a Long Beach native who has been practicing yoga for 9 years. She is the owner of FreeSpirit Yoga and LOVES the Long Beach Community and loves Bixby Knolls. She has been a member of the studio for 9 years and has been teaching at FreeSpirit Yo ga for the past seven years. She teaches pretty much every level of class at the studio. She studied yoga on her own for many years and has a 500hr Experienced Yoga Instructor Certification with Cloud 9 Yoga. Cassandra is also an artist, EFT Practitioner and Reiki Master. She is inspired by nature, Eastern Philosophy, and her students everyday. Her joyous nature, serious dedication to the practice of yoga, and lighthearted approach make her classes fun, nurturing and challenging all at the same time.